Incredible Tiny Homes represents a dream to provide affordable and comfortable housing for everyone. Randy Jones founded Incredible Tiny Homes in Morristown, Tennessee in 2014 with a passion to pursue professional standard of craftsmanship in the Tiny Home industry. 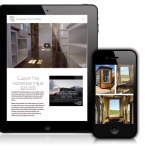 Featured on HGTV Tiny House Hunters, the company was experiencing tremendous growth and needed a new website. 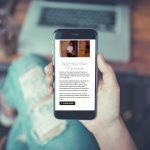 The custom, mobile responsive site is clean, easy to navigate and update by the Incredible Tiny Homes team.